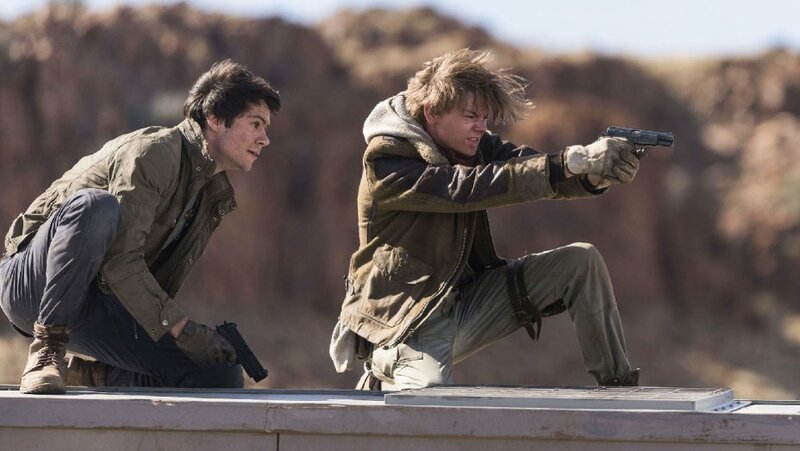 Maze Runner: The Death Cure, which looks like the last of the original era of YA adaptations, opened with strong numbers, $23.5M domestic and $105M worldwide. The third and final leg of the trilogy that launched in 2014 had been delayed because of Dylan O'Brien's injury, but the time away doesn't seem to have hurt them. The opening numbers are lower than the first movie's $32M ($348M overall) and The Scorch Trials' $30M ($312M overall), but these movies have always relied on staying power, or legs (I didn't want to make the obvious running gag), to get where it needs to go. There are a couple things I'm happy to see here. One, I'm glad that The Maze Runner can end on a high note because it is arguably the best YA franchise out there, right up with The Hunger Games. And that they didn't split the final movie into two sequels. Jumanji: Welcome to the Jungle continues to be a massive hit the world over, and Sony's biggest non-Spidey non-James Bond success. The blockbuster sequel earned $16.4M and now has $822M worldwide. Wow. Scott Cooper's western drama Hostiles has been out in platform release for six weeks, finally seeing an expansion to over 2800 theaters. The results were good, too, with the film earning $10.2M, and I suspect it will stick around for a while through Oscar season. Not that it's a nominee for anything, but Christian Bale's performance is being heralded as among his best (He's good, even if I have issues with the story), and audiences may decided to lump it in as a must-see for that reason. Remember when Hugh Jackman's The Greatest Showman opened and we lamented its disappointing numbers? That was six weeks ago, and since then it has been one of the leggiest movies in history, now sitting with $126M domestic and $246M worldwide. The very definition of an "Oscars boost", Guillermo Del Toro's The Shape of Water is riding high on the strength of 13 award nominations. The dark romance about a deaf woman's attraction to a merman, expanded to 1854 theaters and jumped 160% from last week for $5.7M. Overall it has $37M domestic and $47M worldwide. I expected a better performance stateside for the genuinely terrific Paddington 2, only with $32M after three weeks. The first film ended its run here with $76M and $268M worldwide. Fortunately, overseas the sequel is doing gangbusters with an additional $153M.